Having been born in the Philippines and having lived there most of my life, I'm ashamed to say that my grasp of the local language (specifically the Tagalog dialect) still isn't that great. Sure I can speak conversationally, but I do tend to fumble a lot and often draw a blank with many words I don't know the Tagalog equivalent for. There is one word I do like a lot though and have always related to: "kikay" (pronounced as "kee-kah-y"). In a nutshell, it means "girly". If you're described as 'kikay', then you're probably a typical girly-girl who loves makeup, fashion, and is totes boy crazy 24/7. That's partly why I was intrigued by a particular product (set) from a local beauty brand called The Queen's Essentials, and it's their "Kikay Si Maria Face and Body Set". This skin care set is a collaboration between The Queen's Essentials and beauty blogger Eloisa Co from Kikay Si Maria. Eloisa's primary focus when creating the set was "whitening" and "anti-aging", hence all the products included are composed of ingredients which promote skin whitening and/or have anti-aging benefits. She also wanted to ensure all the products were affordable without comprising quality. The entire set retails for Php 500.00. First item I'm going to talk about is the Obagi Blend Soap (Php 120.00). It's comprised of 3 layers made up of 3 ingredients. From top to bottom: arbutin with lemon peel extract (red), kojic (orange), and glutathione (whitish yellow). 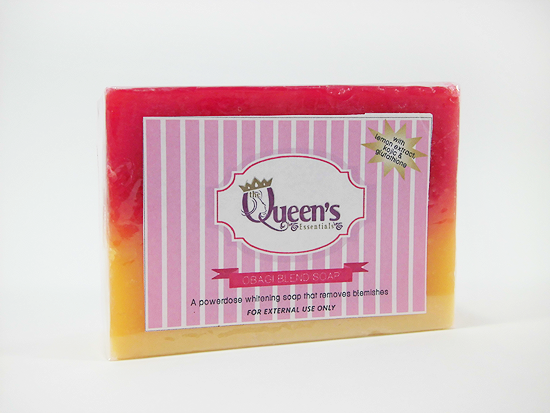 The Queen's Essentials describes the soap as a "Potent Tri-active Beauty Bar" and is "made of unique blend that helps whitens, rejuvenate skin and removes blemishes." This soap can be used for both the face and body, but I never have good experiences with bar soaps when it comes to my face so I basically only use this from the neck down. Eloisa mentions in her blog that the soap can cause dryness (if used on the face), as is common with many whitening products, and you may feel a stinging sensation which is a sign that the ingredients are actively working. To counteract the dryness, she says to simply use a moisturizer. When using whitening soaps, it's best to leave the product on the skin for a few minutes before rinsing off which is what I did when I used this every time I showered (either 2 or 3 times a day). I, personally, didn't feel any stinging sensation on my body when I used it nor did it cause my skin to become drier than normal. I did see a slight brightening of sorts in my overall skin tone, particularly my forearms, but the results weren't anything particularly visible or drastic. Truthfully, I'm most likely the only one who noticed. So yes, the soap was effective, but just a teensy bit. Perhaps if I used this for longer than the 2 weeks I had with it, and stored away a couple of backup bars, I'd get better results! I have to say though, the scent this soap has is just heavenly. It smells like some kind of berry candy! I love it! Too bad the scent doesn't linger on the skin after I rinse off. Tip: The soap is made up of all-natural ingredients so it will melt away easily if you constantly keep it wet or in a wet environment, like the shower/bathroom. 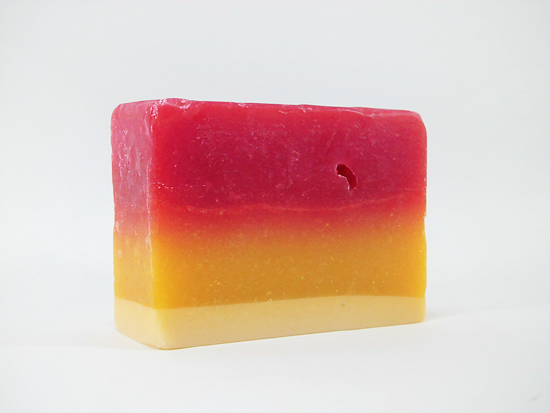 To make your bar last as long as possible, allow it to dry outside of the bathroom or cut up the soap into equal parts and use them one at a time so that the entire bar doesn't melt away all at once. When it comes to lotions, I prefer the kinds that come packed with a generous amount of SPF in it already. I'm almost always in a rush in the mornings and it saves me time from having to apply sunscreen. Thankfully The Queen's Essentials Glutathione Lotion (Php 250.00 for 100g) has a good dose of SPF 45 in it so that's a plus for me already! As some of you may already know, especially if you're into skin whitening or lightening products, glutathione is a very popular ingredient because it helps to prevent or halt the production of melanin in skin which makes us look darker. The scent of this product is pleasant and is as light as its consistency so it doesn't take forever and a day to absorb into the skin, but do expect it to take at least some time if you're applying it in a hot and/or humid environment. The same can be said for practically every lotion anyway. Unfortunately I didn't experience any skin lightening with this product, both on its own and when used after showering with the Obagi Blend soap. However, I do like how it moisturizes my skin nicely so at least it functions as a good lotion with the added SPF bonus! I do have to advice The Queen's Essentials against using this bottle though. It's difficult to get the product out unless I squeeze really hard and more than a couple of times. If you have hands that are slick with lotion already too, then doing that is next to impossible and I usually just ended up removing the cap entirely and forcing the lotion out with vigorous shakes. The overall packaging of the product is the main disappointment for me. The label on it is poorly printed (heavy pixelation on the graphics and text) too. Then again, I'm sure I got a different 'version' of the set because with the other sets I've seen, like with Eloisa's, the lotion has a pump and all the products have high-quality printed labels. Perhaps if you purchase the set instead, you'll receive the nicer looking products? I'm not going to rant about packaging because TQE were kind enough to sponsor these products for me in the first place. However, first impressions are important, even when it comes to the likes of beauty products, and you don't want a someone's first impression to be an assumption that the company doesn't seem to care about how their products look. 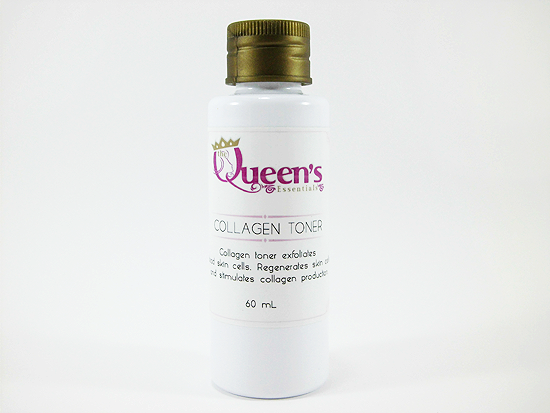 Quite possibly my favorite out of the bunch is The Queen's Essentials Collagen Toner (Php 120.00 for 60ml) I'm a sucker for anti-aging skin care, especially since I'm in my late 20s already, so to see "collagen" immediately piqued my interest. It's described as a product that "exfoliates dead skin cells" and "regenerates skin cells and stimulates collagen production". Now I'm not sure HOW this stimulates collagen production as it isn't explained anywhere on the bottle, so let's just take their word for it. The toner really isn't anything special per say. As Eloisa said, it's like a 'typical marketed toner' with the added benefit of collagen. There's nothing wrong with 'typical' for me, so I do like the fact that it's your everyday toner with an added anti-aging bonus. Sometimes the most effective skin care products are the ones with no frills and no complicated recipe of ingredients. The toner has a faint-yet-still-sort-of-pleasant alcohol scent, but since it's faint, it shouldn't be a problem even if you don't prefer toners with that kind of scent. It doesn't linger either and disappears as the product is absorbed. I like this toner restores some moisture that may have been stripped away by whatever facial wash I've been using as well as helps get rid of any remaining traces of dirt or makeup on my face. In fact, I didn't really need to use my astringent as much for the latter because of this! The toner doesn't make skin feel tight and dry either. I was unsure at first if I would be able to use this product daily since it did mention it 'exfoliates' and I didn't want to end up over exfoliating my face, but I believe the exfoliating effects are really mild because my skin didn't show any negative reactions to me using this twice everyday (morning and night). The cap is the twist off kind making this travel-friendly too, and dispensing the product is easy as it only takes a 2-3 gentle shakes to saturate a cotton ball or pad enough for use. 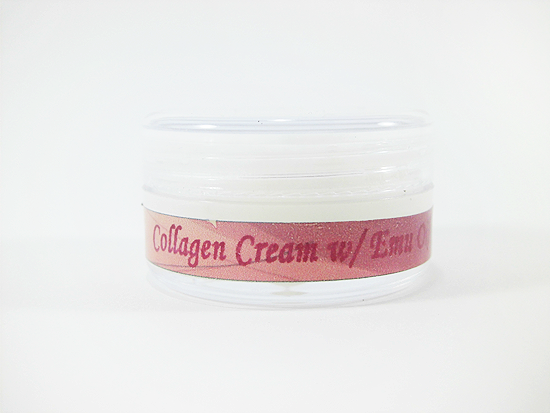 My second favorite product from the set is The Queen's Essentials Collagen Cream with Emu Oil (Php 99.00 for 10g). Like with the lotion, the packaging for this is (visually) poor. The label is cheap looking and the 'actual version' of it looks much nicer. Nevertheless, I did end up liking this product. TQE says: "Our Collagen cream is infused with Emu Oil to maximize the anti-aging result and provides deep moisturizing on skin. 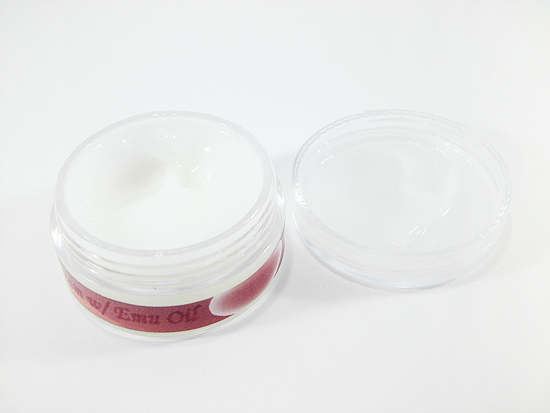 Emu Oil acts as barrier to seal the skin and retain moisture." I'm sure some of you are wondering what the heck "emu oil" is. It's an "oil derived from adipose tissue harvested from certain subspecies of the emu, Dromaius novaehollandiae, a flightless bird indigenous to Australia." It's oil that comes from this fella. Now, as someone who is against the whole concept of farming or hunting animals to ultimately only be used as 'ingredients', or clothing and accessories (leather, fur, etc. ), this is not something I would buy of my own free will. That's why I don't buy any products with horse oil in them too, despite it being a trend nowadays in the Asian skin care market. Farming animals for food is an entirely different story that I won't get into now. Since this was included in the set however, and I didn't know it would be prior to receiving it, I decided to try it out. I have very dry skin, so I wasn't sure if this moisturizer's light, somewhat thin texture and consistency would be enough to hydrate my skin. Surprisingly it did though, and it made my skin feel and look soft and supple. At least on most days, when my skin wasn't particularly dry and flakey. For those other kinds of days, this moisturizer simply wasn't enough to overcome the dryness and I needed to reach for something more potent. But as an everyday moisturizer, especially if I wasn't going to be applying makeup right after, this product more than sufficed. It has a nice scent too with a hint of vanilla, if I'm not mistaken. It only comes in a tiny 10g jar though, so if you really like this and want to use it often, you will most likely need to buy more than one jar at a time. It also doesn't come with a spatula, so for hygiene freaks or germaphobes, you'll have to purchase a separate one. In my case, I use my pinky to scoop up the product and dab generous amounts onto my face then blend and spread with the rest of my fingers. Despite the could-be-a-lot-better packaging of the products from this set, I wasn't left deterred and am glad my first experience with The Queen's Essentials was still a wholly positive one. I'll most likely not re-purchase the entire set, but I can definitely see myself ordering the toner and lotion again once I'm back in the Philippines for the holidays! In fact, I definitely plan to try out more of their other products as I've seen they've released newer ones like serums and acne treatments which seem like they're right up my skin care alley. 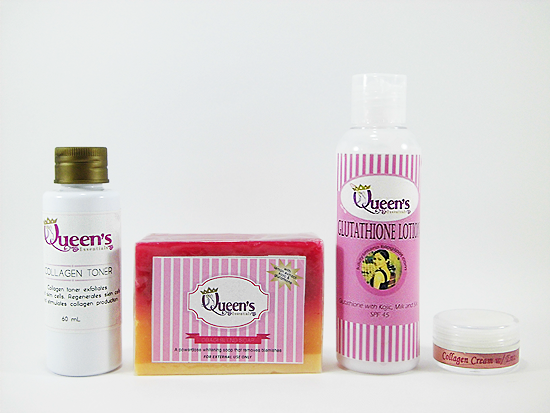 A big thank you to The Queen's Essentials for sponsoring this review!